A humidity proof holding spray for locking in your style. Bioveta kēp is a humidity proof holding spray for locking in your style. Spray and play your way to a great hairstyle, kēp allows you to mold the style without unwanted gummy buildup. Spritz a little more kēp throughout your hair to lock your style in place and tame those fly-away hairs. Use Bioveta kēp if you want your hair to look fresh and soft to the touch control. kēp will set that wet head look and works incredibly well when using it as your hot iron styling support spray, just a few final spritzes ensures long lasting shiny hold that lasts for days. Reinforce as needed. 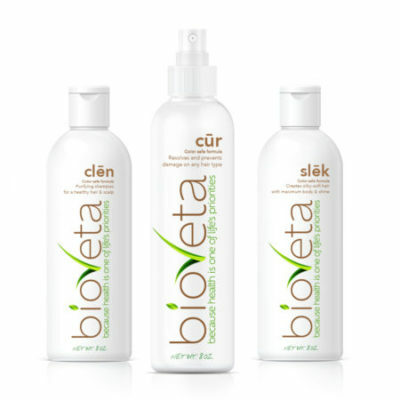 Bioveta kēp is the ultimate finishing product for every style and hair type. Make your hair look gorgeous and healthy while still feeling soft to the touch. Spray a few mists throughout the hair to create your style. Finish with an overall spray to lock your style in place. Less is best.